On 29th March we were interviewed by Fitz (David Fitzgerald) on BBC Radio Devon, which meant going to their studios at Plymouth on a glorious sunny morning. You can listen to the interview here (on BBC Sounds), though we suspect that it is time limited, so may soon disappear. It starts at 2.12.27 and ends at about 2.22.01 (about 10 minutes). Fitz describes his morning programme as being “for music and conversation about Devon from Devon”. We met him last year quite a few miles from Devon, in Gibraltar, as he was also at the literary festival there. 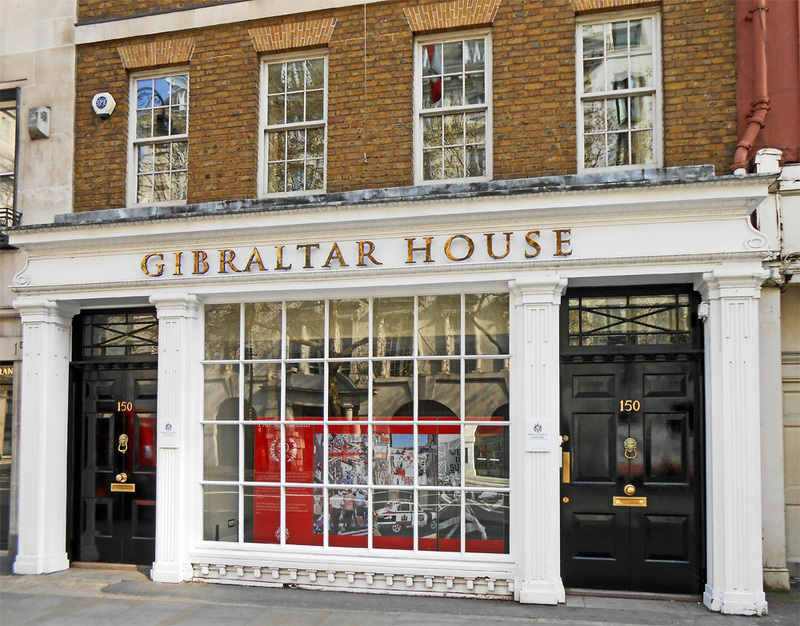 On 1st April, we launched the paperback of our book Gibraltar: The Greatest Siege in British History at Gibraltar House in London, a perfect venue where we gave a talk to the Friends of Gibraltar. This year, 2019, is the 240th anniversary of the start of the Great Siege. The talk was really well attended, and it was very pleasing to see many new faces, as well as a handful of familiar ones from Gibraltar itself. Tim Lawson-Cruttenden was a brilliant host for the evening, and we greatly enjoyed his company and that of his wife Lorna. It was therefore a complete shock to hear that he died in Gibraltar just before Easter, and our heartfelt sympathy is extended to his family. We are increasingly told that paperback books receive very little attention these days, as newspapers and magazines hardly bother with them, which is a shame, considering that most bookbuyers prefer to have a paperback! We are therefore fortunate in having picked up a few reviews, including one under ‘Must Read paperbacks’ in the Daily Mail, which you can read here. The paperback of our book Gibraltar: The Greatest Siege in British History was published in the United States by Penguin on 12th March. It is available in all good bookshops and online, and the ISBN is 9780735221642. The book is also available as a hardback, paperback, audiobook and e-book. See our Gibraltar page for further details. 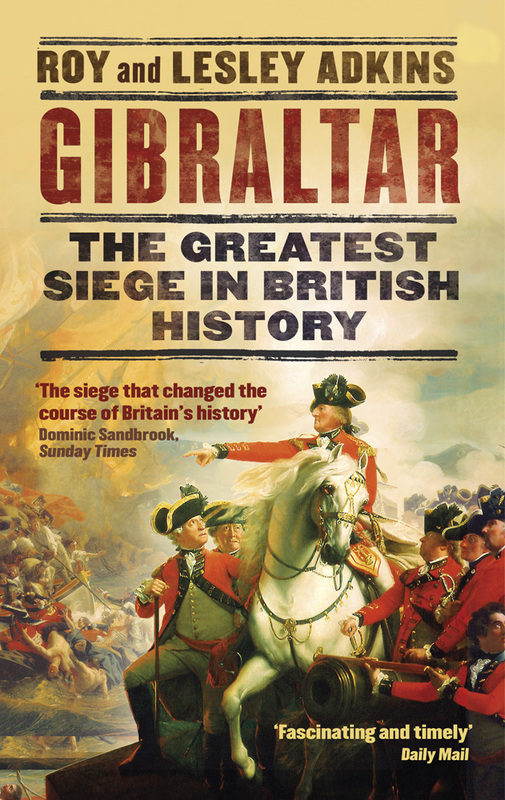 The paperback of our book Gibraltar: The Greatest Siege in British History was published by Abacus in the UK on World Book Day, 7th March. 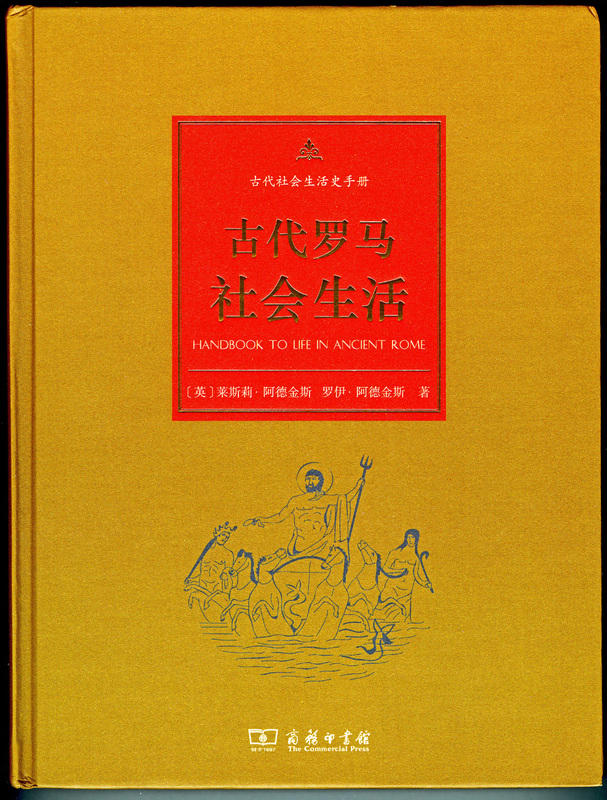 It is available in all good bookshops and online, and the ISBN is 9780349142395. The difference between the paperback and hardback is that some typos and annoyances have been dealt with. The hardback has lovely endpapers, which are not used in the paperback. Both versions, hardback and paperback, are available, as well as an audiobook and e-book. See our Gibraltar page for further details. 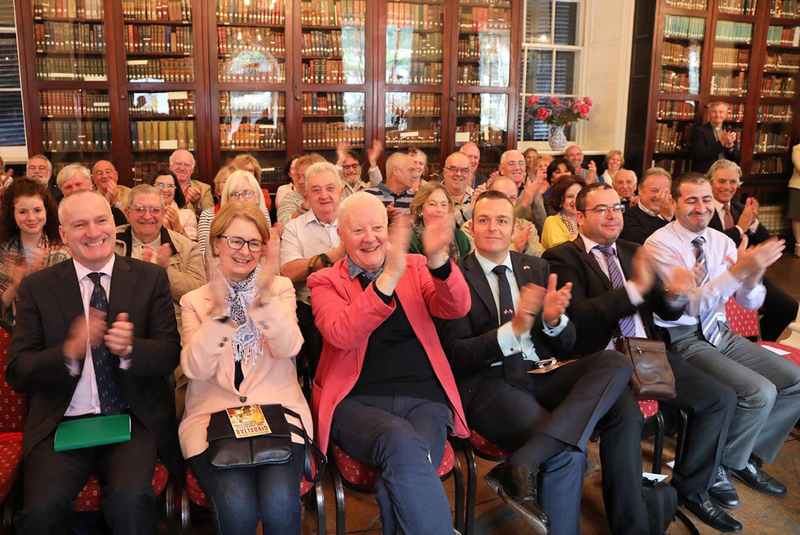 We launched the paperback of our book Gibraltar: The Greatest Siege in British History at Gibraltar House in London, where we gave a talk to the Friends of Gibraltar. This year, 2019, is the 240th anniversary of the start of the Great Siege.See our Events page for further details. 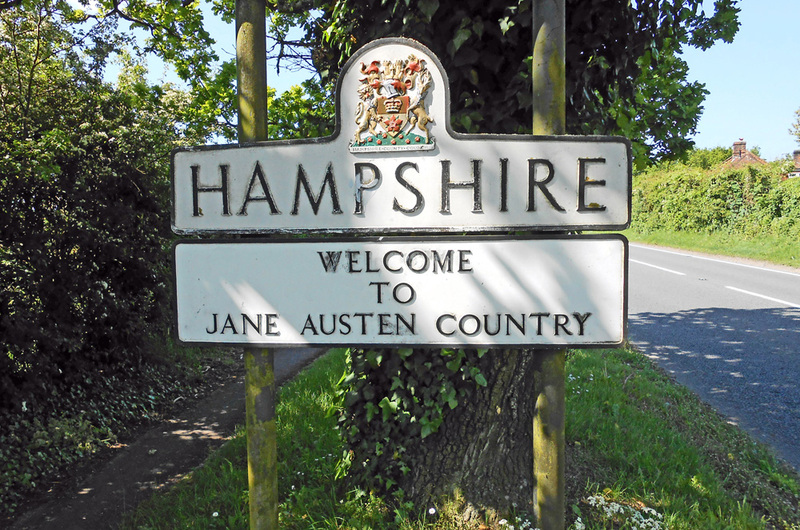 The annual conference of the Jane Austen Society (UK) will take place at Basingstoke in Hampshire, the home county of Jane Austen. We will be talking about her two naval brothers at 12 noon on Sunday 29th September 2019. See our Events page for further details. Towards the end of 2018, Gibraltar Heritage Journal 24 was published. 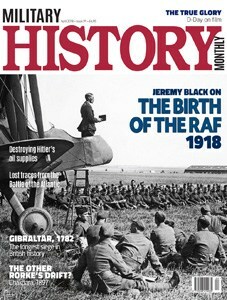 In it was an article we had written called ‘The Centenary of the Sinking of HMS Britannia‘ (pages 133 to 136). The focus was on John Jones, who was from Irlam in Lancashire and became a stoker on board HMS Britannia, which was sunk on 9th November 1918 by the German submarine UB-50 just off Cape Trafalgar. 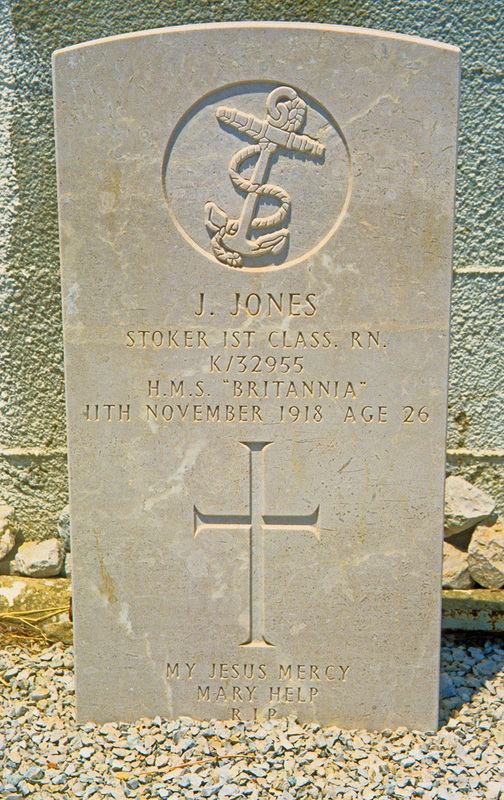 John Jones was rescued but died on Gibraltar on 11th November 1918, Armistice Day. 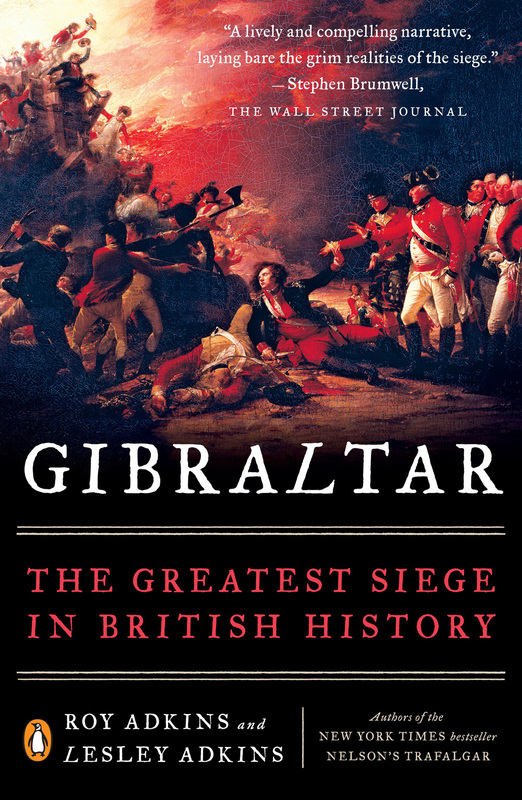 Also in the same journal is a review by Sam Benady of our book Gibraltar: The Greatest Siege in British History, in which he says that ‘the book is difficult to put down. It reads like a thriller … This is a book which you will read and read again’. This is generous praise, as the reviewer is co-author (with Mary Chiappe) of the Bresciano murder mysteries’, set in 18th- and 19th-century Gibraltar, Morocco and Spain. 2019 is the 240th anniversary of the start of the Great Siege of Gibraltar, and to mark the occasion, our book Gibraltar: The Greatest Siege in British History will be published in paperback in March 2019 in north America (by Penguin) and in the UK (by Abacus). The Gibraltar Heritage Trust has produced a wonderful calendar that is well worth purchasing just for the pictures. It is now HALF PRICE and can be purchased from their website. In Folklife West 60 (January 2019), we had published an article called ‘Selling Wives’, which was once an informal method of divorce. You can read more about the topic in our book Eavesdropping on Jane Austen’s England. We were delighted to return to the festival in November 2018, giving two talks, one on the Great Siege and one on the Battle of Trafalgar. You can read about the festival on our blog piece called the Gibraltar Literary Festival. For further details, see our Events page or the festival website here. 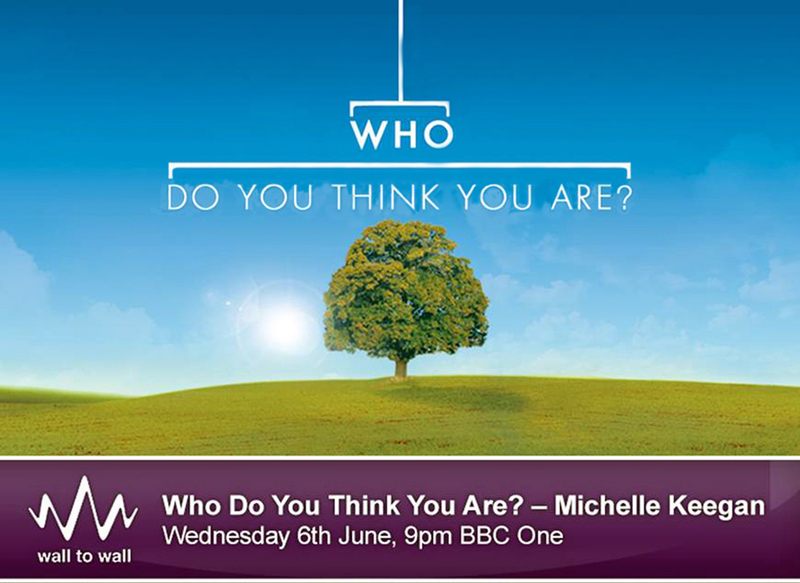 BBC 1 recently aired the first of a new series of “Who Do You Think You Are?” in which the ancestors of various celebrities are traced. This episode featured the actress Michelle Keegan, and we did some of the initial research, because one side of the family came from Gibraltar and can be traced back to Genoa in Italy. In our book Gibraltar: The Greatest Siege in British History, we talk about the Genoese who lived on Gibraltar, many of whom were fishermen or market gardeners. We were thrilled to see Richard Garcia explaining her ancestors to Michelle Keegan inside the lovely Garrison Library at Gibraltar. Richard very expertly chaired our talk at the 2017 Gibunco Gibraltar International Literary Festival, in the very same venue. Jennifer Ballantine, its wonderful librarian, also took Michelle to places where the family had once lived, in what proved to be a fascinating programme. 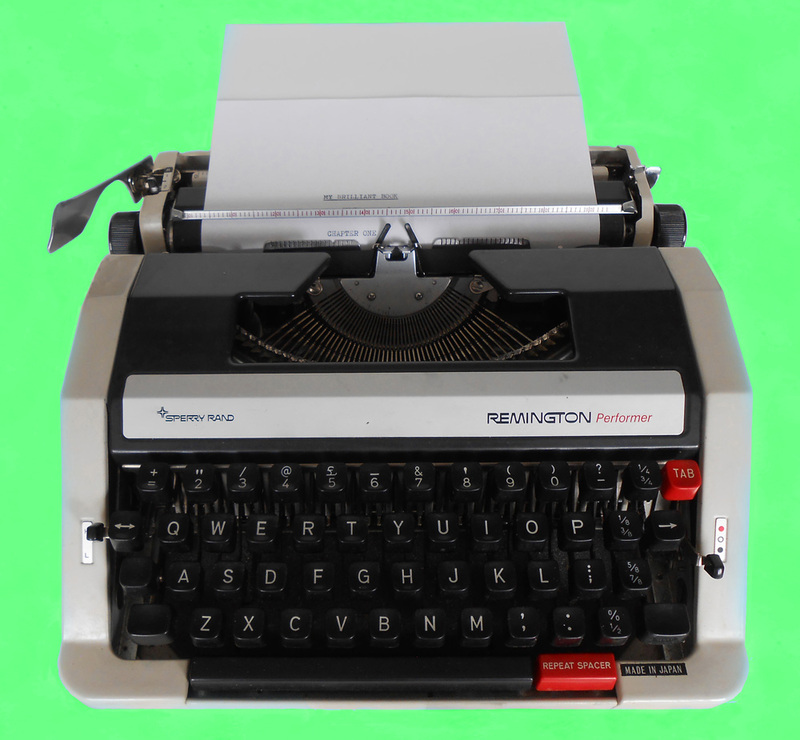 Now and again we put features on our blog. The latest ones are: Bridge over the River Lune (on Lancaster’s canal aqueduct); Oranges and Treasure (on Captain Philemon Pownoll and Sharpham House); London’s Great Beer Flood (of October 1814); Reading Matters (a summary of our ‘readable’ books); Henry Ince and Soldier-Artificers (on the very first tunnel created at Gibraltar); The Prudential and the Rock (why an American insurance company uses a symbol and slogan related to Gibraltar); Early Flight (on ballooning); The Gibraltar Stone (a piece of Gibraltar rock on Woodbury Common, commemorating the marines), and the Gibraltar Literary Festival. For many years, we created newsletters that were emailed to subscribers and contained our latest news and features on anything that appealed to us. We were able to stray well beyond the confines of our published books, or perhaps expand on something in those books. Regrettably, we have now stopped producing newsletters, because of the new General Data Protection Regulation, which places an onerous burden on small businesses. All our newsletters (53 in all) are listed on Our Newsletter page, with a brief description of their contents. We will continue to add any news on this Latest News page, and any forthcoming talks or interviews will be listed on the Events page. Otherwise, do take a look at our blogs for snippets of information and entertainment. 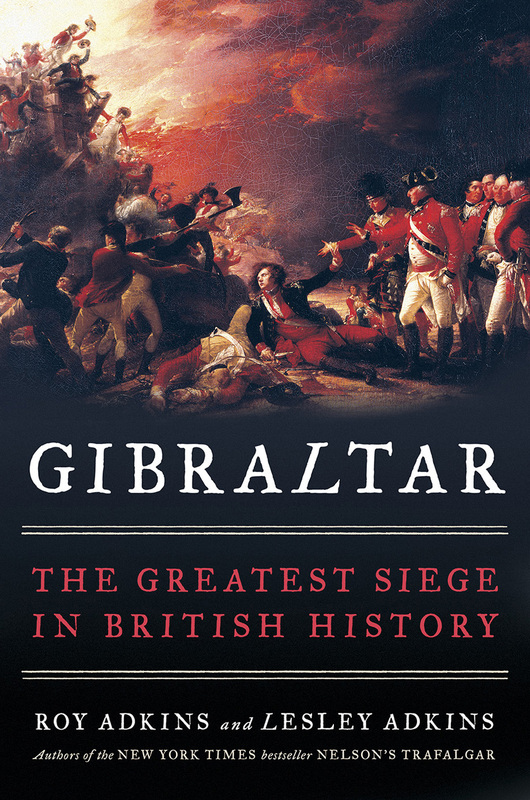 Our latest book, Gibraltar: The Greatest Siege in British History, is published in hardback in the United States and Canada, and it is also available as an e-book and audiobook. There have already been some great reviews, including The Wall Street Journal and The Washington Times. It will be published in paperback in March 2019 to coincide with the 240th anniversary of the start of the Great Siege. See our Gibraltar page for more details and see The Prudential and the Rock for surprising links between America and Gibraltar. Our article ‘Gibraltar 1782’ was published in Military History Monthly 91 for April 2018, a splendidly designed seven-page article on the floating battery attack during the Great Siege. You can find details of this magazine and how to subscribe here. 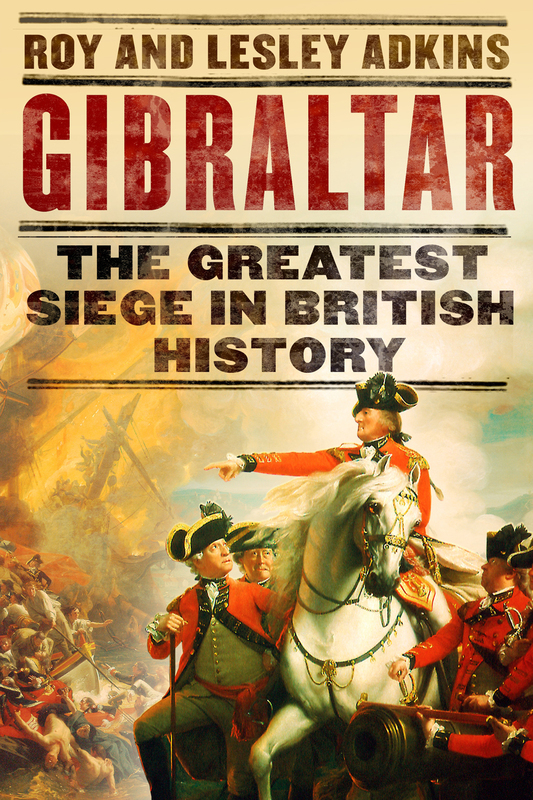 Gibraltar: The Greatest Siege in British History was published in hardback in the UK in September 2017. An e-book is also available, as well as a brilliant downloadable audiobook narrated by John Telfer. It will be published in paperback in March 2019 to coincide with this year being the 240th anniversary of the start of the Great Siege. Take a look at our website’s Gibraltar page for more details. Please see our Events page for details of any talks. We are always happy to consider invitations to give talks and interviews, and the Events page has details about our publicist Hayley Camis (who organises the UK events for our Gibraltar book) and Theresa Gaffney (who organises interviews in north America). This picture was taken at a talk at a branch of Waterstones, where the staff joined in the spirit of things by dressing up for the occasion. We were interviewed about our book Gibraltar on 15th August 2018 by Dave Hodgson, presenter of ‘The Daily’ for Talk Radio Europe, based near Malaga in Spain. You can listen to the interview on this podcast. The previous year, we were interviewed by Giles Brown of the ‘Let’s Talk’ show for the same radio station. On 6th April, we appeared on the Eric Metaxas show in the United States, and you can hear the interview here. Push the slider to about 39.43, as that’s where it starts. Eric Metaxas is a bestselling author, and his show focuses on religious books, so we were looking forward to discussing religion during the siege. Unfortunately the sound engineer had problems, so that instead of it being a 40 minute interview, it was cut after 10 minutes. If you can’t bear to listen to the poor sound quality, then just heed Eric’s final words – ‘grab a copy’! For other radio interviews, see our Events page. The November 2017 issue of the magazine History Revealed featured our book Gibraltar as ‘Book of the Month’, alongside an interview with us. In the December issue of Family Tree magazine, we were ‘Top Choice’ of the month, and that review was linked to an online interview with us. There have also been several features in local newspapers about Gibraltar: The Greatest Siege in British History, such as in the Chiswick Herald, Gibraltar Chronicle, Gibraltar Panorama and Sussex Express. The Gibraltar page of our website gives reviews of our latest book. Reviews of our other books can also be seen at the end of each website page. We were thrilled to have had a double-page digest feature on our book Gibraltar: The Greatest Siege in British History in the Daily Mail. It appeared on Friday 13th October, and we wonder if the date was chosen because the huge floating battery attack on Gibraltar in 1782 also took place on a Friday 13th (which turned out to be unlucky for one side!). You can see the Daily Mail piece online here, which attracted a lot of comments. The year 2017 was the 200th anniversary of the death of Jane Austen. It was also the 200th anniversary of her posthumously published novels Persuasion and Northanger Abbey. Our book Eavesdropping on Jane Austen’s England was published in paperback in the UK by Abacus, giving the background to the way of life at the time, enabling readers to better understand the Austen novels. The Daily Mail described the paperback as a ‘must for anyone who wants a peek under Mr Darcy’s wet shirt’! The paperback is also available in the US and Canada, as Jane Austen’s England, where it published by Penguin, with an equally gorgeous jacket. 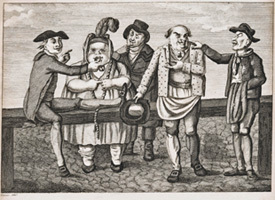 Persuasion (published in 1817) and Mansfield Park are considered to be Jane Austen’s ‘naval novels’. For an insight into her connection with the Royal Navy, check out a guest blog we did a while ago on Julian Stockwin’s website called ‘Why Jane Austen Loves a Sailor’. Reasons for not living in Jane Austen’s England! We have a slideshow here in the Huffington Post, giving 13 reasons why you would NOT want to live in Jane Austens England … it’s safest to read books about the era instead! 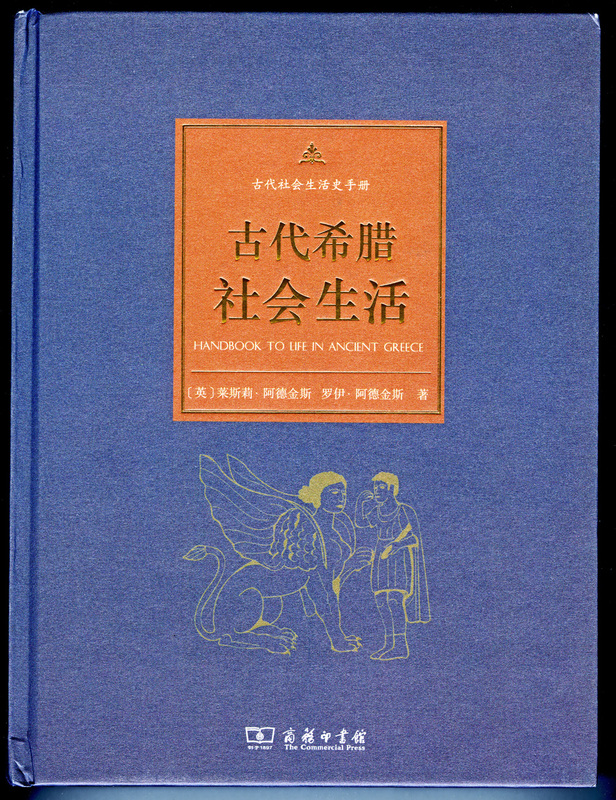 Our books The Handbook to Life in Ancient Rome and The Handbook to Life in Ancient Greece are now published in Chinese in hardcover by The Commercial Press in Beijing (ISBN 978-7-100-11480-6 and 978-7-100-12037-1). Their website can be viewed here.